Digital disruptors are giving customers the information they want, when, where, and how they want it, resulting in a fundamental shift in customer expectations and how enterprises deliver value. As enterprises move towards adopting these modern applications and achieving data autonomy, the data layer and cloud infrastructure they run on can make a huge impact. 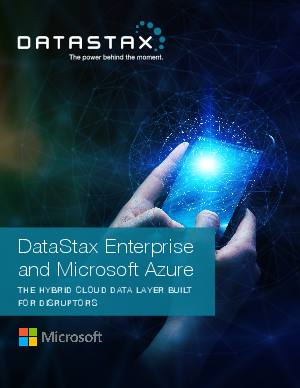 In this eBook, we’ll take a look at why DataStax and Azure combine to make the ideal data layer for contextual, always on, real-time, distributed, and scalable applications.